I'm going to tell you the truth. Craft Bloggers have perfect lives. You may have seen some of my peers making messes of their homes just to take photographs to post on their blogs to make you feel better. You might even see them subtly sneak a messy background into their photos, or pretend they have no clue what they are making for dinner, even though it is already 5pm. All of this is an illusion. I'm here to tell you the truth. 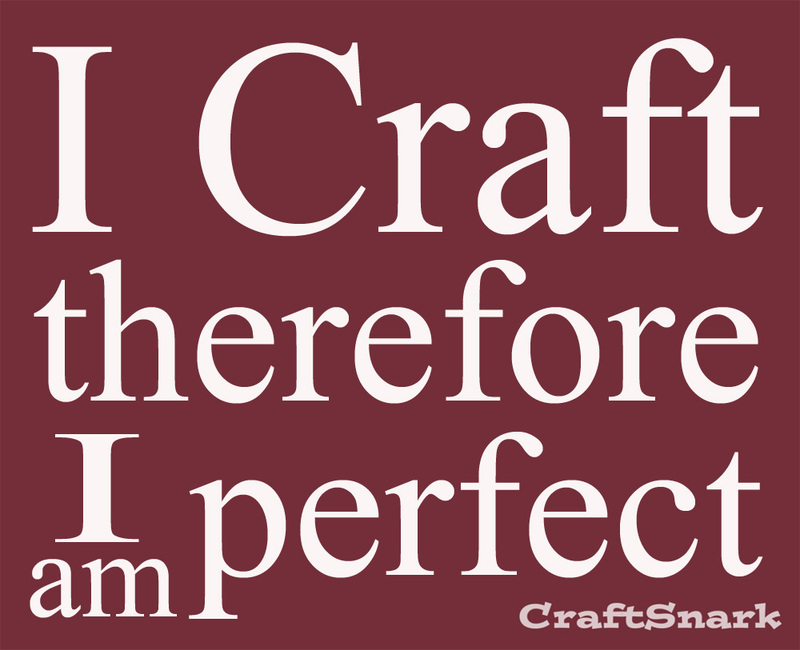 As Craft Bloggers, our lives are perfect in every way. We eat organic. Three meals a day are freshly prepared for our children (and two snacks). We couldn't tell you where the nearest drive-through is because we never eat fast food. We only eat out on our anniversary when our husbands take us to high-priced restaurants to celebrate another year of Stepford married bliss. Our children have lunchbox meals that are the envy of the entire cafeteria. And if there are Twinkies in their lunchbox - they are Twinkies we have made from scratch. Laundry is not a chore. It is a pleasure we perform daily for our family. We lovingly wash, fold, and put away each article of clothing. We hand-stitch a full wardrobe for every member of our family each season. Including underwear. A craft blogger's pantry is filled with healthy, delicious treats. We are always just 5 seconds away from a perfectly frosted cupcake. If the internet allowed you to smell through our blogs, you would get alternating wafts of freshly baked bread, chocolate cake, mmm... what is that we're making for dinner? Holidays at our houses put Martha Stewart Living and Home and Garden to shame. Trick or Treaters stop by our homes first. Extended families make sure they are invited for the perfect tukey and football combo. I can't find the words to adequately describe Christmas. Multiple trees, mantles, doors and banisters decorated beautifully, tastefully, and fashionably. On Christmas morning, all of our children get the perfect number of gifts, exactly what they wanted, and show the exact right amount of appreciation. 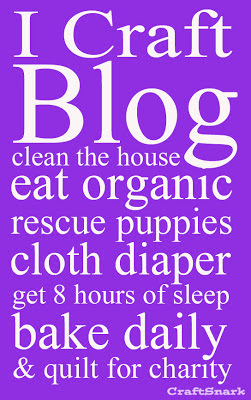 This is the life of a craft blogger. It is perfect. 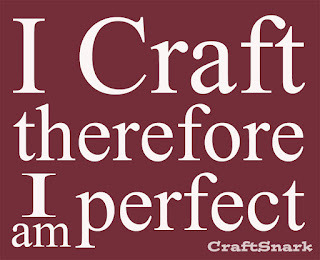 That is why we chose to become craft bloggers. So the rest of the internet could be jealous of our lifestyles. And pin photos of our livingrooms, bathrooms, bedrooms, children's bedrooms, dinners, deserts, children's lunches, and holiday ideas to their Pinterest boards. Now you know the truth. You're welcome. ps. 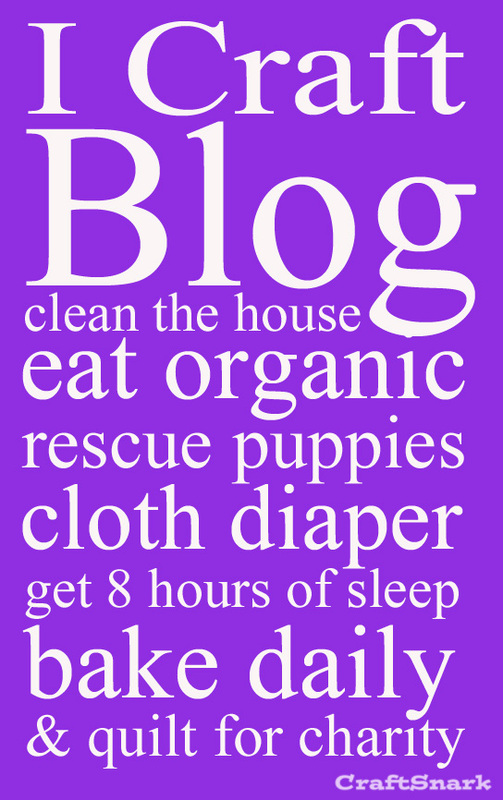 We all make an amazing living blogging, too... with almost no work at all.